To Mr. and Mrs. Watson, Mercy is not just a pig – she’s a porcine wonder. And to the portly and good-natured Mercy, the Watsons are an excellent source of buttered toast, not to mention that buttery-toasty feeling she gets when she snuggles into bed with them. This is not, however, so good for the Watsons’ bed. BOOM! CRACK! As the bed and its occupants slowly sink through the floor, Mercy escapes in a flash – “to alert the fire department,” her owners assure themselves. But could Mercy possibly have another emergency in mind – like a sudden craving for their neighbors’ sugar cookies? 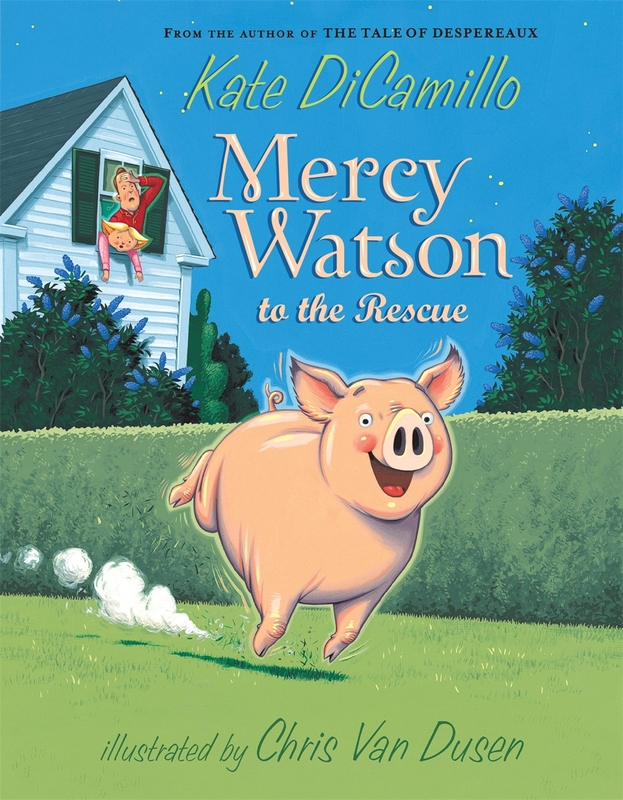 Welcome to the wry and endearing world of Mercy Watson – an ebullient character for early chapter-book readers in a series that’s destined to be a classic.